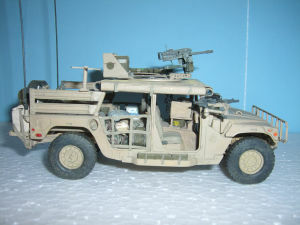 This model is a US Special Forces Dumvee as seen in the initial fase of OIF (Operation Iraqi Freedom). 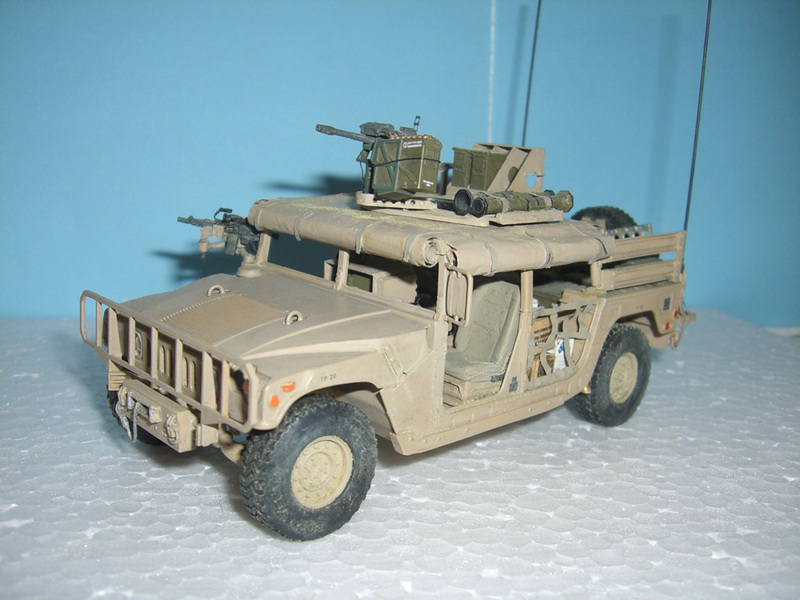 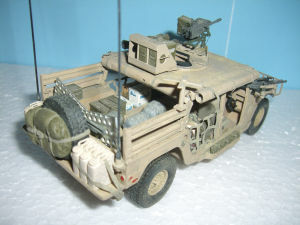 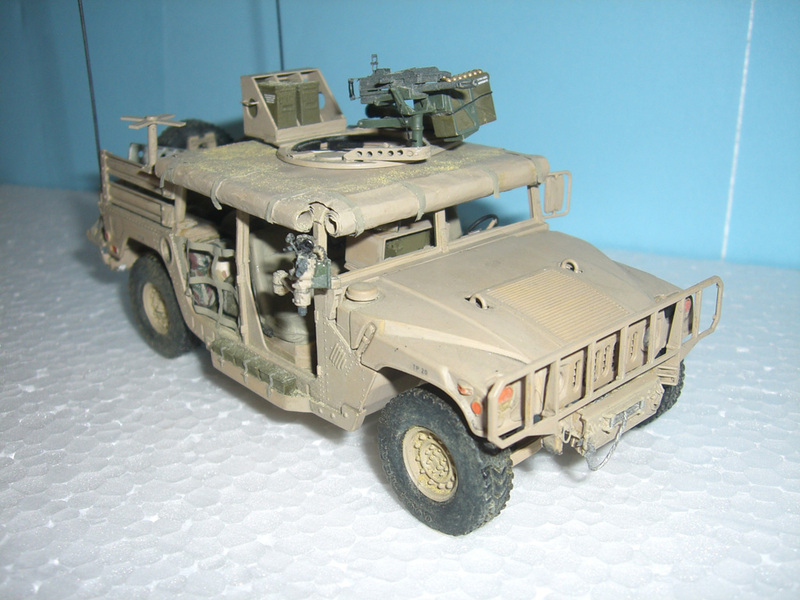 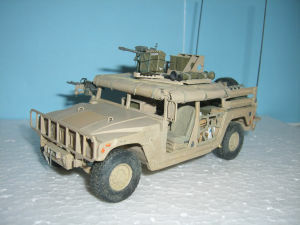 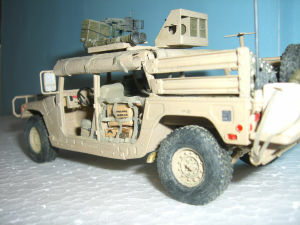 It is based upon the Tamiya M1025, the base Humvee kit I prefer, converted into a Special Forces Dumvee using the Pro Art Models conversion set “US Special Forces Dumvee”. 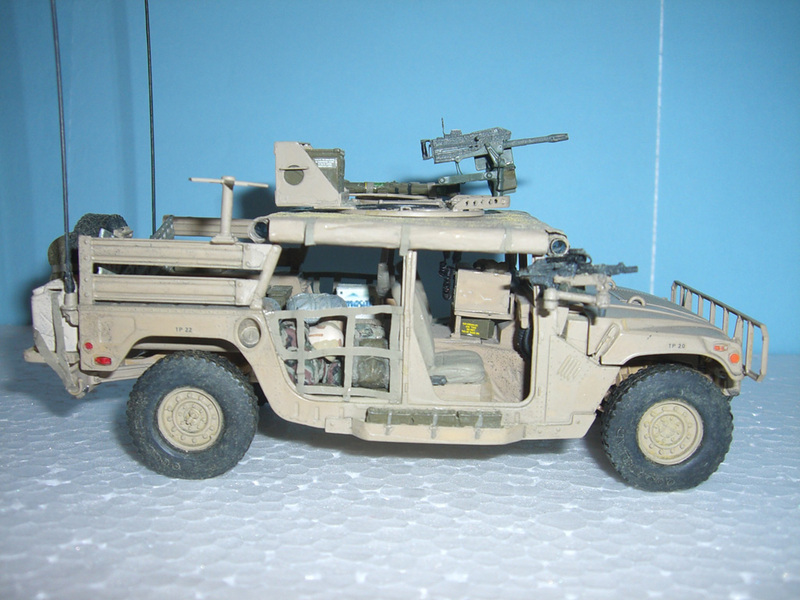 I have added some scratch built parts like the ammo boxes rack on the turret, the radio rack, the folded camo cover on the roof and nets in the rear doors. 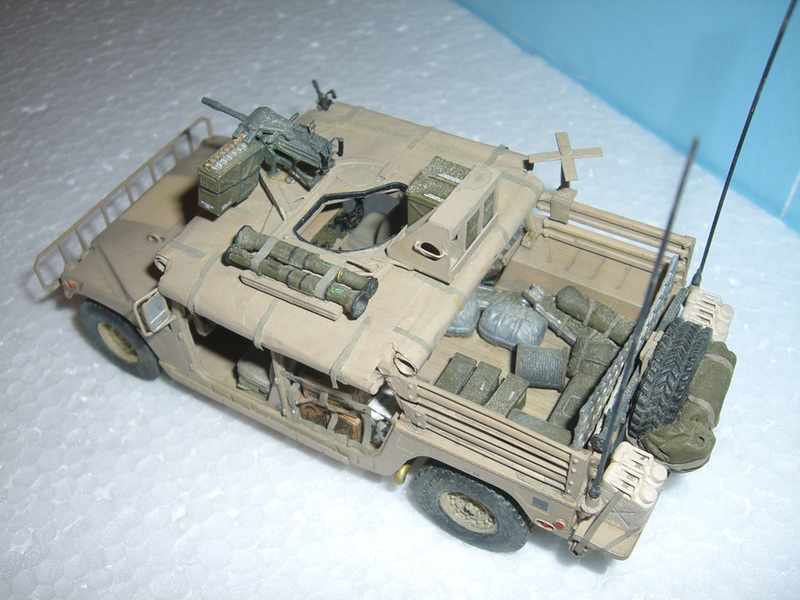 AT4 anti-tank weapons are from Legend kit “AT4 & LAW Set” (p/n LF1197). Accessories and equipment are from various sources; special mention for water boxes taken from this Armorama forum thread. 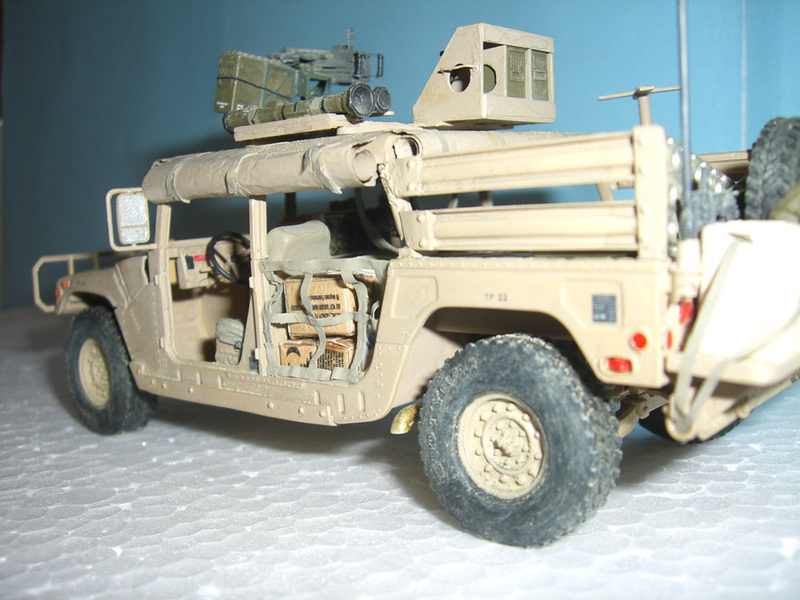 For references, as usual I have found very useful forum threads in Armorama. 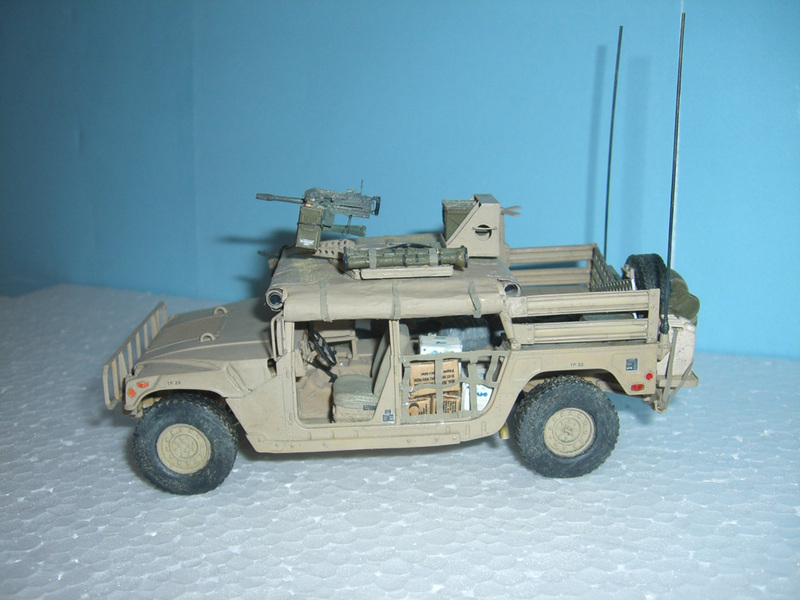 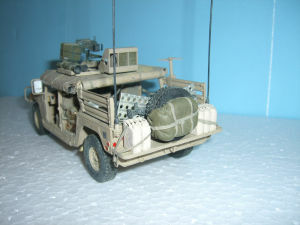 For a lot of very useful pictures of different SF HMMWV models I suggest Robert Skipper’s “SOF HMMWV Reference CD“. In addition plenty of pictures can be found at Primeportal, for example in this photo album Special Forces Humvee in Iraq, and at Photobucket in the following albums kmkjan1’s dumvee and William Ritchie [BOGGIE] HMMWV.